The constitution that Sardar Patel compelled the RSS to adopt, clearly eschewing all concern with politics, needs to be restored, and there must be a clear avowal if any changes have been made in it and whether these are justified by law. Rahul Gandhi, whose remarks in general have nothing out of the ordinary, at least speaks his mind without equivocation. To heckle him, as RSS zealots do, for allegedly taking a U-turn on his statement about the murder of Mahatma Gandhi seems a common enough tactic with them – turning things upside down and making things hazy with law and logic. Actually, the courts have confronted him with a quandary: mere clarification of his position on the RSS’s involvement in the Gandhi murder won’t do. He must either tender a full and formal apology, or face trial. He has chosen to take the bull by the horns. There is no real contradiction in the position he has taken. 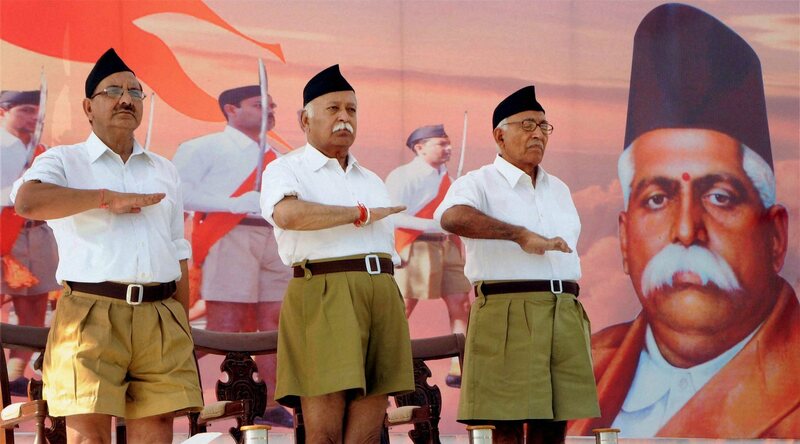 The problem lies in the mystery and obscurity surrounding the RSS’s modus operandi. There is some credible evidence in the public domain, especially Nathuram’s brother Gopal on record, that both the Godses were devoted members of the RSS but had denied their links with it to save the organisation from public opprobrium and wrath following the murder of Gandhi. The RSS has claimed both had been shown the door some time before the murder, but there is no document or record to support it. On the other hand, there is not a trace of evidence that they had received a command from the top leadership to commit the murder. Now, that by itself, does not rule out some connection. Many enquiry commissions over the years have concluded that RSS men had a hand in fomenting some major communal riots, though there is no document to prove it. At the same time, it is impossible that an organisation like the RSS, known for its iron discipline and the implicit loyalty of its members, would allow them to join in rioting without prior knowledge. Hence, settling the question of RSS involvement in the murder of Mahatma Gandhi is no easy task. But it is also clear that it cannot be absolved of suspicion about its role. As the RSS has come into the limelight in recent years, more such ambiguities and perplexities seem to dog its steps. It has spawned numerous organisations and outfits whose activities are marked by street disturbances, disruptions of rallies of parties opposed to the Sangh ideology, and open or veiled threats against those who condemn agitations upholding the sanctity of the cow and the primacy of Hindutva. At times, it proudly gloats about the reach and depth of the Sangh parivar. But there are also times when it strictly and stoutly denies its links with them, claiming that they are different organisations that follow their own goals.The public is hard put to make sense of this and shrugs off the perplexity. However, the general impact is to further narrow the space for democratic dialogue and clear the ground for one-sided unilateral assertion. What makes the scene even foggier is the scale in which these forces seem to operate and the issues on which they force public attention. While it is certainly a blatant misuse of power that a host of public monuments are named after Indira Gandhi and her scions, the public remained cool to such glorification save for the sycophants. But now we are faced with obscure names from the RSS pantheon being plastered on similar monuments and even the re-naming of some with names favoured by the new court culture. Suddenly Akbar the Great, by all accounts a remarkable historic figure, becomes persona non grata. The reasons cited are hardly convincing. And in the history textbooks assiduously promoted by institutions such as the Vidya Bharati in some states, vast stretches of history turn into waste dominated only by a handful of “freedom fighters” like Shivaji and Rana Pratap. One would have welcomed some attention to a great neglected figure like Sher Shah Suri, the builder of the Grand Trunk Road (so named by the British) that opened communication and commerce between regions till then insufficiently connected and galvanised the economy of India. But no, the heroes have to be from a narrow band. Even Ashoka’s achievement is scaled down on the plea that his espousal of dhamma weakened India’s defences, stamping out the incontestable fact that through the mission of universal peace he achieved the same objective as costly military campaigns. The RSS prides itself on the dedicated and selfless service of organisations promoted by it to the cause of suffering humanity, and unbiased people have not stinted praise where it is due and right. But recently there were press reports that very young children of impoverished tribal parents of Assam, some of them Christians, have been taken away from them with the promise of better care and education. Journalists like Neha Dixit have found out that they are being turned into hard-core missionaries of Hindutva without their parents’ knowledge or consent, and further that for two years since they were taken away, their parents have not had any contact with them. Charges of child-trafficking and brain-washing have been raised and Seva Bharati, the RSS affiliate involved, has stoutly denied any wrong-doing. The clamour about the matter died down as mysteriously as it first burst into the open. Since 1991, or rather the beginning of the new millennium, the Indian state has been devoting all its energies to promoting corporate interests to the neglect of its foundational commitment to providing for general development and welfare of the people. The trickle-down theory in its starkest form has been dogmatically upheld. And with globalisation and liberalisation releasing passions like greed and spite against fellow-men like never before, the law and order situation has touched its nadir. Communal hatred in all its fury is stalking the land. And it is awful how the state looks on while the worst elements strike at the very roots of a civilised polity. The role of the state, once a divided media has gone to town about their respective versions of an incident, is to carefully whittle it down to an insignificant legality. An enquiry commission comes out with a report that Rohith Vemula was not a Dalit, thus reducing an enormous tragedy to a triviality. Nearly a year after the lynching of Mohammed Akhlaq, a forensic laboratory has reported that the meat Akhlaq was charged with storing was indeed beef. Accepting it for a fact, does it justify the murder and exonerate the murderers? The crux of the matter seems to be the exact relationship between the BJP and the RSS. It is shrouded in the same kind of mystery. From time to time, the link is virtually explained away. Oh, it is only ideological inspiration that the RSS provides, nothing more. Or they pursue the same objectives but on different planes, and so on. But one event underlined the intimacy and depth of the relationship. Following completion of one year in office, senior members of the BJP cabinet at the centre presented reports on the performance of their ministries to the RSS. It was openly stated that the RSS being the BJP’s mentor and guide, is entitled to receive such reports. The charge of extra-constitutional authority was simply brushed aside. But there are also times when top leaders of either organisation takes pains to demarcate their boundaries, and the RSS is declared to be a “purely cultural” body. The essentially and ineradicably secular character of our constitution, signified not only by explicit reference in the Preamble but also by the general tenor of its text, is in danger of erosion thanks to bizarre enactments like a Jain monk sitting above the governor’s chair delivering a homily on dharma controlling politics like a man controlling his wife in the Haryana legislature. People have become too confused to challenge such grave improprieties. If this scenario is allowed to roll on, one is not sure where it will end. Already national cultural institutions, whatever their limitations, have been suborned to make room for shameful compromises on the serious scholarly and scientific ends to which they are dedicated. A recent Frontline report has detailed absurd and utterly superstitious formulations of medicines prepared from cow urine as a cure-all. A steam-rolling centralisation of the education system, a process unhappily endorsed by the courts, has made it more vulnerable to all kinds of hocus-pocus in the name of traditional knowledge – undoing centuries of painstaking research by scientists and scholars. Thus there are tell-tale signs everywhere of the penetration of RSS ideology in all spheres of public life, under the cover of law and patriotism. The programmes of such institutions are also being manipulated to sideline serious reasoning and factual research. Under such circumstances it is imperative that serious jurists, lawyers,and public women and men of eminence raise pointed questions on the role of the RSS in our polity, and on the accountability deficit in the whole matter. With such over-riding powers, the RSS is under an obligation to publish its constitution and the rules it follows, and clarify its relationship with the state. The constitution that Sardar Patel compelled it to adopt, clearly eschewing all concern with politics, needs to be restored, and there must be a clear avowal if any changes have been made in it and whether these are justified by law. 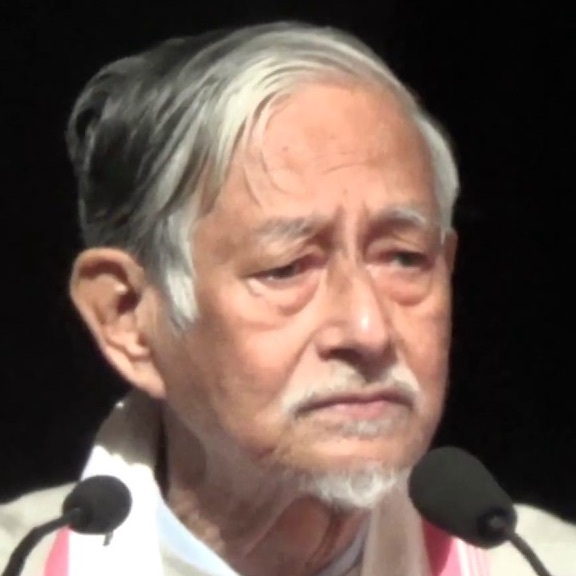 Hiren Gohain is an academic and scholar. He lives in Guwahati.